When he travels with his dog sitter first class via the TGV train to Saint Tropez? Just to spend the weekend at his master's beachhouse clearing his lungs of dirty Parisian air and exercising his legs in the sand. Normally I'm not a jealous person, but lately I've been finding myself très jalouse of Napoléan, my neighbor's dog. Not only does "Napo" get more manicures and TGV frequent train miles than I do, I've realized that he lives a better life than most people in the 16th arrondissement. That's a hard thing to do, actually. Uniform: Louis Vuitton monogrammed dog leash with matching monogrammed leg warmers in the winter. Small Jet Set Dogs are carried around town in LV monogrammed leather doggy bags. 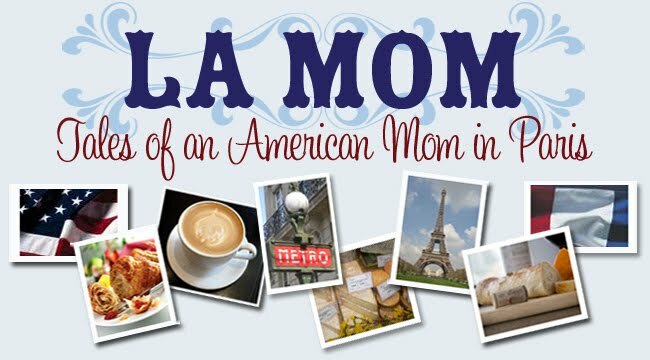 Where else but in France (and specifically the restaurant L'Avenue), are dogs more welcome than the expat moms who meet at this trendy café with their Bugaboo strollers in tow and big American smiles? Jet Set dogs get the royal treatment. Crying babies and their moms get dogged (no pun intended). Profession: Shopping Sherpa. The Jet Set Dog shops with his master's wife on the Rue du Faubourg Saint Honoré at least twice a week. The salespeople know him by name, "Bonjour Napo!" "C'est Napo encore!" Vacations: Fall: Hunting with his master at various castles around Europe. Winter: Mauritius. Spring: Marbella. Summer: Ile de Ré or Saint Trop' bien sur. Doggy names: Gaspard, Bonaparte, Marlé, Balzac, Chou Chou. The next best thing to being in Paris is shopping in Paris online! Visit “Treasures” by The Antiques Diva™ where The Diva takes the French brocante online pairing vintage Chanel bracelets and belts to antique copper tea kettles and sterling silver cutlery. Her divalicious inventory consists of everything from antiques and art to vintage items with a few decor items and objects of curiosity thrown in for good measure! Merci Beaucoup for the shout out!!! Delighted that you featured my new online brocante on your fab fab blog! Just found your blog and I love your posts. Very entertaining! Thanks for sharing your life and keep it up! Love your blog by the way. I love to travel and reading your posts takes me to Paris for a bit. L'herbe est toujours plus verte chez le voisin. Who know's what the hound is thinking..? Just for a day I would like to be Chou Chou.